Listen as I interview Stephen Clarke a former Professional Hockey Player who suffered a career ending knee injury at the age of 25. Stephen fought through depression with the help of many friends and found his “Next Chapter” in the creative world of Advertising where, like his athletic days he excelled in both the Corporate Arena with Global Giants like Foster Advertising, Maclean Hunter and Saatchi and Saatchi but also launched and grew his own Agency into a North American powerhouse before ... Más informaciones selling it. As a Retirement Project and through a promise he made to his Mother Stephen launched RTG Group Inc. a “For-Profit Social Enterprise” focused on feeding the hungry and building a Homeless Shelter in Downtown Toronto. Stephen will be speaking on June 22nd in Mississauga come out and meet him. 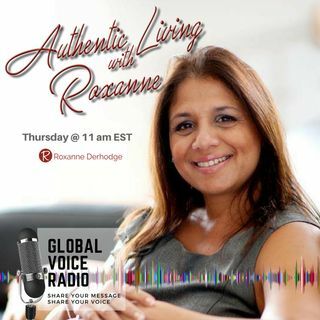 Register at https://roxannederhodge.com/authenticconnectionmovement2018. Connect with Roxanne at www.roxannederhodge.com and info@roxannederhodge.com.